The Inktober Contest is our very first contest of the year! We are inviting you to submit your top 3 drawings from Inktober for a chance to get guaranteed publication in the 2018-2019 edition of Cellar Roots. 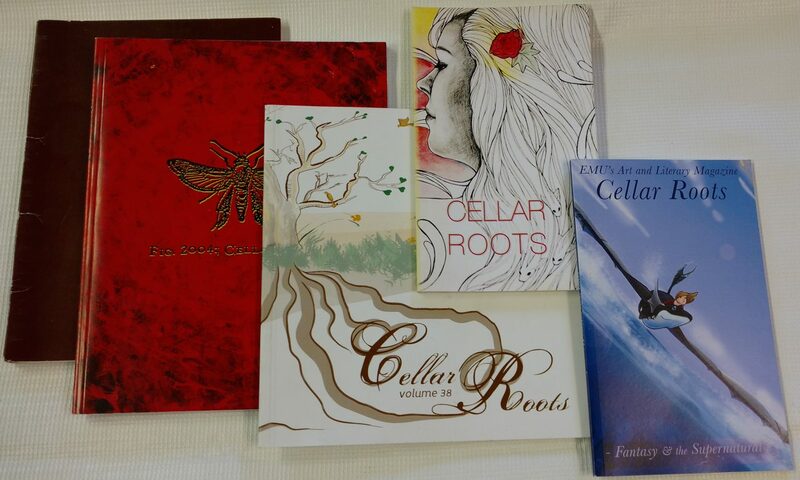 The Cellar Roots team will choose the top 5 drawings to be published. Email your submissions to cellarroots@easternecho.com with your name and any other information you want us to know about your pieces. Email us if you have any questions or concerns as well. We look forward to your submissions! The 2016-2017 Issue of Cellar Roots is Now Available ! It’s here! The 2016-2017 issue of Cellar Roots. Click here to access the magazine. On March 31st from 9am-4pm Eastern Michigan will be celebrating undergraduate achievement at a symposium located at the student center! Members of our staff including Dana Beyer and Josi Ezinga will have featured works of art so come down and say hello! One of the most creative formats for writing is in giving the reader a choice. Interactive fiction, or choose your own adventure novels give a choice in how the reader will experience a story. If you’ve ever wanted to give this format of shot, try out Twine a completely free software you can use online or via download. Thread together written passages connected by links that Readers can click on to thread together their own version of your story! Try it out and see what you can create! Author Nathaniel Mackey will be at Eastern’s Student Center theater next week with a great opportunity to learn about fiction writing! Flash Fiction Contest this Friday! Join us Friday in room 352 to learn about flash fiction, to write your own there with provided prompts, and have it judged by the Cellar Roots literary team on the same night! A reading of the completed flash fiction is not mandatory but preferred! 1st, 2nd and 3rd place winners will be featured and published in the upcoming issue. Laptops and other writing outlets are welcome. Paper and pens will also be provided.